As the complex processes by which people achieve and maintain balance become better understood, researchers and clinicians are increasingly focusing on ways to improve balance in athletes, the elderly, and patients with neuromuscular deficits that affect postural control and movement. Preventing falls is one clear application of such research, but the relationship between balance control and fall risk, though apparently intuitive, depends partly on the population being studied and can be difficult to quantify. Ankle foot orthoses (AFOs) are often prescribed for patients with conditions that affect balance, but the extent to which the devices may raise or lower the risk of falls depends on a number of variables and remains a matter of debate. Among patients in the acute phase of inpatient stroke recovery, up to 47% fall, and 70% fall in the first year after stroke.3 In patients recovering from acquired brain injury, 54% reported a fall in the previous six months. Seventy-five percent of those with incomplete spinal cord injury have at least one fall in the course of a year, and 18% of those experience a fracture as a result. In post-polio patients, 64% reported a fall during the year, and 35% had a fracture. In adults with peripheral neuropathy, 65% fell during the previous year. To understand whether AFOs may prove useful in addressing these problems, it’s important to understand how people maintain their balance. A useful definition of balance was provided in a systematic review of AFOs and balance published in 2010 in the Journal of Prosthetics & Orthotics (JPO); namely, that it is a complex skill neces­sary to maintain the body’s center of gravity within the base of support while stationary (static balance) and to control the center of mass (COM) in dynamic situations such as walking or when experiencing a destabilizing event (dynamic balance).4 Maintaining balance involves cognitive, motor, cerebellar, vestibular, and pro­prioceptive systems, the relative contributions of which depend on age and pathology. A crucial biomechanical factor is the patient’s ability to maintain the COM within the base of support, and limitations in sensory input, muscle strength, or joint range of motion affect this ability. So how do AFOs fit in? It turns out to be a good question. In the introduction to the special JPO issue noted above, Phil Stevens, MEd, CPO, who works for Hanger Prosthetics & Orthotics in Salt Lake City and will present at AOPA in Boston, noted the ankle strategy—the muscle-tendon stretch reflex that sends feedback to the central nervous system about sway and leads to muscle firing to correct alignment—is crucial to balance.3 By crossing the ankle joint and affecting joint kinematics, kinetics, and proprioceptive inputs, he wrote, AFOs may have positive or negative effects on balance in a variety of activities. Specific AFO design characteristics may play a role, Ramstrand said. Ramstrand’s review reported that sports AFOs had mixed effects on balance in healthy populations: six articles found no effect, two reported negative effects, and five found positive effects. As noted by Ramstrand, leaf-spring AFOs fared the best in the review. Five articles studied them in poststroke hemiplegia and one looked at the devices in peripheral neuropathy; all found generally positive effects on balance and sensory organization. Similarly, supramalleolar orthoses were judged beneficial for enhancing balance in children with spastic CP. Ramstrand told LER that although drawing a correlation be­tween balance measures and fall risk was difficult, certain tests—e.g., the Timed Up and Go test—did appear to hold more potential in that regard. Malas, who will also present at the September AOPA conference, contributed a paper on clinical perspective to the special issue of JPO.8 He noted that the variables contributing to decisions about AFO design and fabrication—materials, footplate length and stiffness, ankle configuration, and footwear consider­ations—affect the device’s ability to influence balance and stability. He also outlined the important and often underrated influence of fatigue on assessments of balance control. Dorsiflexor fatigue increases the risk of failed swing phase clearance, increasing fall risk, and may also compromise the ankle strategy during static reaching. Plantar flexor fatigue may permit increasing crouch during gait and lead to knee buckling. Fatigue of the knee and hip extensors increases the risk of anterior knee instability and asso­ciated falls. Finally, hip flexor fatigue also affects swing phase clearance, increasing the risk of trips and falls. Existing studies may have underestimated the effects of AFOs on balance by failing to account for fatigue, Malas wrote. He provided an example from his own practice, in which a child came in and walked back and forth a few times. Ramstrand, in her review, pointed out that previous research failing to show proprioceptive effects of AFOs had been conducted in healthy individuals, and suggested that AFOs would be unlikely to have proprioceptive effects in those with normal neuromuscular function. The authors of the JPO article on proprioception, however, noted that, in patients with diabetic peripheral neuropathy, studies demonstrated that AFOs improved automatic postural responses, but that this could have occurred due to either auxiliary sensory cues or to the mechanical support the AFOs provided.13,14 In their JPO paper they studied 12 subjects fitted with AFOs designed to provide auxiliary sensory cues to the lower limbs without stabilizing the ankle joints. The researchers reported that, in patients with sensation loss due to peripheral neuropathy, the devices let sensory information bypass the disrupted pathways in the lower legs, substituted for the loss of proprioceptive feedback, and helped subjects generate faster and more sensitive postural responses while standing. They emphasized, however, that it appeared to be critical that the AFO be tall enough to reach the upper part of the lower leg in order to have this effect. Moore promotes the MBB as one component of an overall fall prevention program, which includes assessments by the podiatrist as well as educational materials about exercise, physical and occupa­tional therapy, and appropriate referrals. Clinical indications for the brace listed on the website include difficulty walking, fall risk, vestibular disorder, chronic ankle instability, arthritic ankle, stroke imbalance/foot drop, and diabetic peripheral neuropathy. Moore, however, emphasizes the brace’s use in elderly patients, and his claims in this context have raised eyebrows among some other clinicians. Moore declined to be interviewed by LER, but he did respond to questions via email. He said that his older patients found existing AFOs too heavy and restricting, so he developed the MBB to be lighter and easier to put on and take off. The MBB has a thermo­plastic inner shell with posterior leaf spring trim lines. 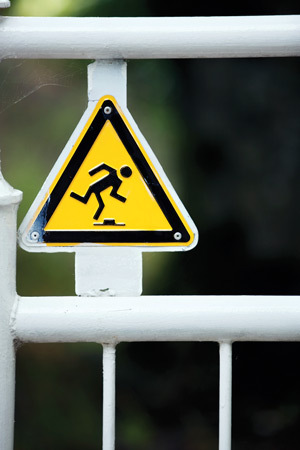 Chad Lairamore, PT, PhD, an assistant professor of physical therapy at the University of Central Arkansas in Conway, acknow­ledged that it isn’t so far-fetched to link stability with the risk of falling. It is unclear from existing research, however, whether in neurologically normal patients—even older ones—AFOs provide the type of proprioceptive enhancement or gait stabilization that would reduce the risk and incidence of falls. The Australian researcher Hylton Menz, PhD, has studied falls in the elderly extensively. Menz is a senior research fellow and head of the Lower Extremity and Gait Studies program at La Trobe University in Melbourne, Australia, as well as editor in chief of the Journal of Foot and Ankle Research. Moore also cited studies23-26 showing that contact with a stable external surface positively influenced apparent body orientation and wrote, “Thus, AFOs in addition to correcting the patient’s foot place­ment during locomotion, can also be expected to improve the maintenance of balance during quiet stance or dynamic pertur­bation.” The studies in question, however, report on subjects who stood touching a wall or a bar with a fingertip. It’s a complex issue, Hylton Menz noted. As noted, then, some of these studies may reinforce Moore’s claims, at least by extrapolation. But in other cases, applying the results of such research to the elderly, whose deficits are real but not identical to those with neurological problems, may be hard to justify. Moore’s written responses make clear that his approach is tailored to the individual patient. Pending further research (Moore said that two trials are underway, but did not indicate when results may be available), the issue will remain open to debate. In any case, the common theme that emerges through interviews with clinicians is the primacy of the individual being treated, regardless of the condition or the indications for an AFO. He provided an example from his own practice. He’d just fitted a young girl with bilateral AFOs and had not yet optimized the alignment. 1. 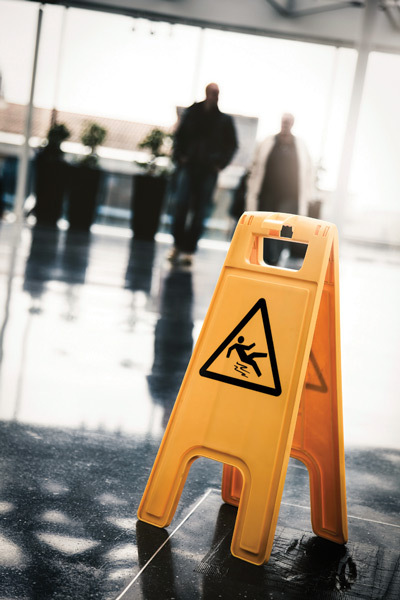 Groner C. Upstanding interventions: Falls prevention in O&P. LER 2011;3(3):16-22. 2. Falls. National Safety Council website. 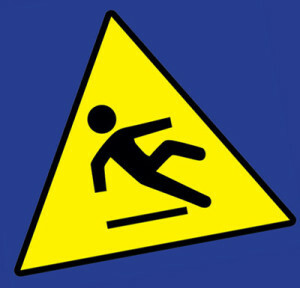 http://www.nsc.org/safety_home/Resources/Pages/Falls.aspx. Accessed July 30, 2012. 3. Stevens P. Prevalence of balance compromise and commonly treated patient populations: an introduction to the Academy’s state of the science conference on the effects of ankle-foot orthoses on balance. J Prosthet Orthot 2010;22(4S):1-3. 4. Ramstrand N, Ramstrand S. AAOP state-of-the science evidence report: the effect of ankle-foot orthoses on balance—a systematic review. J Prosthet Orthot 2010;22(4S):4-23. 5. Richie D. The truth about AFOs and fall prevention. http://podiatrytoday.com/blogged/truth-about-afos-and-fall-prevention Published March 8, 2012. Accessed July 30, 2012. 6. Burtner PA, Woollacott MH, Qualls C. Stance balance control with orthoses in a group of children with spastic cerebral palsy. Dev Med Child Neurol 1999;41(11):748-757. 7. Cattaneo D, Marazzini F, Crippa A, Cardini R. Do static or dynamic AFOs improve balance? Clin Rehabil 2002;16(8):894-899. 8. Malas B. The effect of ankle-foot orthoses on balance: a clinical perspective. J Prosthet Orthot 2010;22(4S):24-33. 9. Aruin A, Rao N. Ankle-foot orthoses: proprioceptive inputs and balance implications. J Prosthet Orthot 2010;22(4S):34-37. 10. van Deursen RW, Simoneau GG. Foot and ankle sensory neuropathy, proprioception, and postural stability. J Orthop Sports Phys Ther 1999;29(12):718-726. 11. Simoneau GG, Ulbrecht JS, Derr JA, Cavanagh PR. Role of somatosensory input in control of human posture. Gait Posture 1995;3(3):115-122. 12. Vinik AI, Holland MT, Le Beau JM, et al. Diabetic neuropathies. Diabetes Care 1992;15(12):1926-1975. 13. Rao N, Aruin A. The effect of ankle foot orthoses on balance impairment: single case study. J Prosthet Orthot 1999;11(1):15-19. 14. Rao N, Aruin AS. Automatic postural responses in individuals with peripheral neuropathy and ankle foot orthoses. Diabetes Res Clin Pract 2006;74(1):48-56. 15. Maver SL, Dodd K, Menz H. Lower limb reaction time discriminates between multiple and single fallers. Physiother Theory Pract 2011;27(5):329-336. 16. Lockhart TE, Smith JL, Woldstad JC. Effects of aging on the biomechanics of slips and falls. Hum Factors 2005;47(4):708-729. 17. Mayer SL, Dodd K, Menz H. Lower limb reaction time discriminates between multiple and single folders. Physiother Theory Pract 2011;27(5):329-336. 18. Sherrington C, Tiedemann A, Fairhall N, et al. Exercise to prevent falls in older adults: an updated meta-analysis and best practice recommendations. NSW Public Health Bull 2011;22(3-4):78-83. 19. Moore Balance Brace. Moore Balance Brace website. http://www.moorebalancebrace.com. Accessed July 30, 2012. 20. Moore J. Stepping up to prevent falls. http://www.moorebalancebrace.com/docs/Stepping%20up%20to%20prevent%20falls.pdf. Accessed July 30, 2012. 21. Spink MJ, Menz HB, Fotoohabadi MR, et al. Effectiveness of a multifaceted podiatry intervention to prevent falls in community dwelling older people with disabling foot pain: randomised controlled trial. BMJ 2011;342:d3411. 22. Vuillerme N, Demetz S. Do ankle foot orthoses modify postural control during bipedal quiet standings following a localized fatigue at the ankle muscles? Int J Sports Med 2007;28(3):243-246. 23. Bortolami, DiZio P, Rabin E, Lackner JR. Analysis of human postural responses to recoverable falls. Exp Brain Res 2003;151(3):387-404. 24. Holden M, Ventura J, Lackner JR. Stabilization of posture by precision contact of the index finger. J Vestib Res 1004;4(4):285-301. 25. Jeka JJ, Lackner JR. Fingertip contact influences human postural control. Exp Brain Res 1994;100(3):495-502. 26. Lackner JR, DiZio P, Jeka J, et al. Precision contact of the fingertip reduces postural sway of individuals with bilateral vestibular loss. Exp Brain Res 1999;124(6):459-466. 27. Menz HB, Lord SR, Fitzpatrick RC. A tactile stimulus applied to the leg improves postural stability in young, old and neuropathic subjects. Neurosci Lett 2006;406(1-2):23-26. 28. Menz HB, Morris ME, Lord SR. Foot and ankle characteristics associated with impaired balance and functional ability in older people. J Gerontol A Biol Sci Med Sci. 2005;60(12):1546-1552. 29. Spink M, Fotoohabadi MR, Wee E, et al. Foot and ankle strength, range of motion, posture, and deformity are associated with balance and functional ability in older adults. Arch Phys Med Rehabil 2011;92(1):68-75. 30. Menz HB, Morris ME, Lord SR. Foot and ankle risk factors for falls in older people: a prospective study. J Gerontol A Biol Sci Med Sci 2006;61(8):866-870. 31. Rubenstein LZ, Josephson KR, Osterweil D. Falls and fall prevention in the nursing home. Clin Geriatr Med 1996;12(4):881-892. 32. Mackey DC, Robinovitch SN. Mechanisms underlying age-related differences in ability to recover balance with the ankle strategy. Gait Posture 2006;23(1):59-68. 33. Cakar E, Durmus O, Tekin L, et al. The ankle-foot orthosis improves balance and reduces fall risk of chronic spastic hemiparetic patients. Eur J Phys Rehabil Med 2010;46(3):363-368. 34. Bleck E. Orthopaedic management in cerebral palsy. Philadelphia, PA: MacKeith Press; 1987. One Response to Can AFOs help prevent falls? I had a traumatic brain stem injury in 1967, when I was 8 yrs. old. I was in a coma and eventually recovered and had to learn to walk again. I have been having PT and doing exercises all my life since then, and have been walking, although with an abnormal gait. Five months ago I started wearing an AFO, after doing gait-training for two months. I was also fitted for new orthotics. I find the AFO disrupts my balance, and I really have to focus on my walking. I use a cane, and have to move more slowly so that I don’t lose my balance. I do not like it, although I try to wear it for 6-8 hours/ day. (I guess I feel that with the amount of time and effort- and $- that I put into this, that I should at least try to get used to it.) My feeling is that I have been walking a certain way for 46-47 years, and now all of a sudden I’m supposed to wear this AFO and get used to the way it makes me walk. It’s not happening. It feels like the AFO makes me walk even more knock-kneed (altho’ my doctor and the PT say it makes my walk look great, and “more normal”. I feel nervous about walking outside on uneven ground or sidewalks. My PT says to lift my hip on the AFO side, when I take a step. I’m just trying to keep my balance and watch where I’m going…! And forget about wearing it with boots to go out in all the ice and snow we had this winter. My balance would be even worse. Do you know of other people who started wearing an AFO 40- 50 years after their injury? Do they ever get used to it?